Ryder has reported a 17.2% growth in revenues for the third quarter of 2018. This was driven by growth in all business segments which benefited from new outsourcing wins and a favourable freight environment. Operating revenue increased by 12.6%, year over year, totalling $1.72bn. However, operating margin was down by 3.3 percentage points. In the Fleet Management Solutions (FMS) business segment, total revenue was $1.34bn, up 11.8% compared with $1.20bn in the year-earlier period. 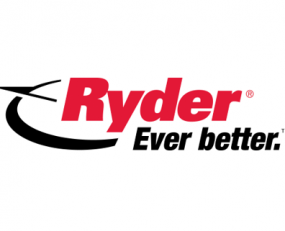 Ryder ChoiceLeaseTM revenue, the company’s largest product line, increased 6.4% reflecting a larger average-fleet size and higher prices on replacement vehicles. The ending lease fleet organically grew by 5,600 vehicles year-to-date. FMS operating revenue was $1.12bn, up 9.4% from the year-earlier period. In the Dedicated Transportation Solutions (DTS) business segment, total revenue was up 25.1% to $340.6m and DTS operating revenue was up 12.3% to $222.2m compared with the year-earlier period. The Supply Chain Solutions (SCS) business segment saw total revenue increase by 28.7% to $628.5m and SCS operating revenue was up 23.0% to $462.8m. The increase in both DTS and SCS total and operating revenue growth reflects new business and increased volumes. Revenue growth in the SCS business segment also reflects the $120m acquisition of MXD Group. In the financial release, Ryder Chairman and CEO Robert Sanchez said: “We are pleased with the integration and performance of our recent MXD acquisition,” which occurred in the second quarter of 2018. He further stated: “Ryder’s last-mile network now includes 136 facilities covering 95% of the U.S. and Canada,” expanding Ryder’s e-fulfilment capabilities.